Our skin treatments are designed for those who are looking for more progressive solutions that are results orientated and require no down-time from your busy life. Prior to all treatments we discuss your concerns in detail to determine your best course of treatment. 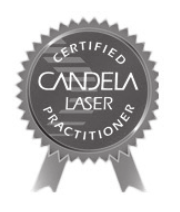 effective laser technology for hair reduction. energy heats the follicle and damages the cells that produce hair. Why do I need a screening? This depends on the area being treated and can be influenced by age, hair colour, and hormones. However, studies have shown an average hair loss of approximately 80% after 6 treatments. After a treatment, hair growth will be reduced for several weeks. Then some of the treated area is likely to start to regrow again. Re-treatments are carried out when the hair growth starts again. How Do I Prepare For Each Treatment? 1. The area MUST be shaved 1 day prior; this ensures an optimal treatment and result. 2. Remove any fake tan from the area. No tan to be used two weeks prior to treatment. Note: Application of fake tan post treatment is acceptable. 3. No tanning in either the sun or solarium on any area you wish to treat with laser.